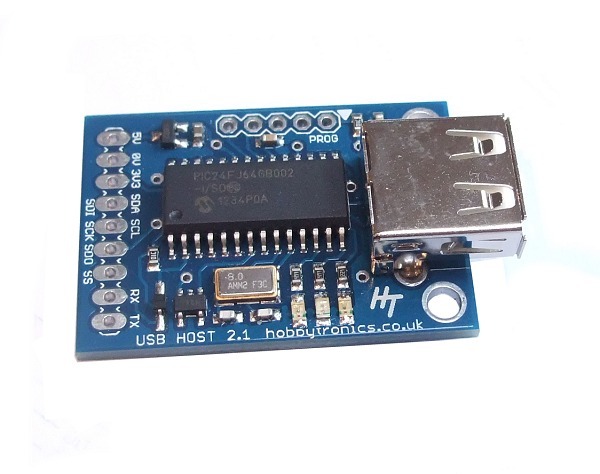 The combined USB PS3 and PS4 Dualshock Controller Software allows you to connect either a PS3 or PS4 Dualshock Controller to one of our USB Host Boards and read the analog stick inputs, button presses, accelerometer and touchpad using I2C or serial TTL. It's time to give up your RC Transmitter with its limited number and type of controls and use the versatile PS3 or PS4 Game Controllers for your robotics project. 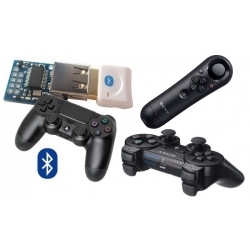 With the use of a compatible Bluetooth Dongle you can now connect to your PS3 or PS4 Controller wirelessly using the built-in Bluetooth. This makes using a PS3 or PS4 controller as the basis for your robotics project very easy to implement. To buy - See the USB Host Board and IC product pages (links on the pictures below) for details on pricing and installing this software. This new version of the Playstation software combines our existing PS3 software with the PS4 software into one integrated solution. Easily change from PS3 to PS4 and vice versa without having to upload new software. Just as with any bluetooth connection, the Bluetooth Dongle and your PS3 Controller have to be synched in order to communicate. With the PS3 controller, this is not done using the usual 4-digit passkey method. Instead, it is done by storing the Bluetooth Address of the dongle into the PS3 controller. Synching the PS3 controller with the bluetooth dongle only needs to be done once. Our code makes synching very straightforward; just follow these steps. Unplug the dongle and plug in your PS3 controller using a USB cable. 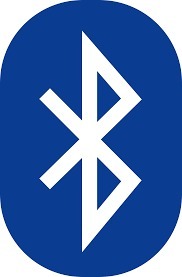 The bluetooth address will now be sent and stored in the PS3 controller. Unplug the PS3 controller and plug the Bluetooth dongle back in. Press the power button on the PS3 controller. The LED's on the PS3 controller will flash for a few seconds, then LED1 will go solid red and the motors will rumble briefly - you are connected. Just as with any bluetooth connection, the Bluetooth Dongle and your PS4 Controller have to be paired in order to communicate. Pairing the PS4 controller with the bluetooth dongle only needs to be done once. Our code makes pairing very straightforward; just follow these steps. Press and hold the PS4 and Share buttons together on the PS4 controller until the PS4 led starts flashing. The units should now pair and connect. As mentioned, there are two ways to obtain the PS3/PS4 data from the USB Host board. 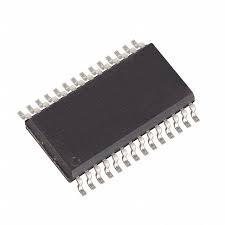 Either by simple serial output or by using I2C communication. 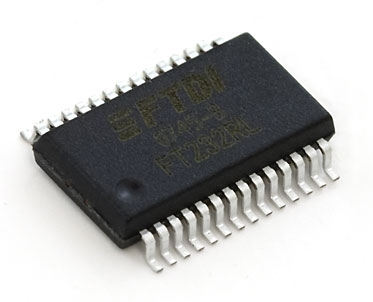 Although the standard serial output is meant primarily for testing the controller, the serial HEX output has a useful purpose if you want to transmit the data wirelessly (e.g. to control a UAV or robot) as it can be fed directly into an XBee radio (or similar) for easy transmission. The default settings are for Serial Output ON and Hex ON. For testing purposes it is recommended to turn the Hex output OFF first. The Serial data output (non-hex) is designed for testing purposes and is human readable in decimal values. Joystick and pressure outputs are comma delimited, whilst the button presses are not. each line is terminated with a CRLF. This is similar to the Serial data output, but each value is output as a single hexadecimal value and there are no comma delimiters. Additionally there is an extra CRC8 checkdigit added to the data to enable the data to be checked for errors. The HEX output is fixed format, so specific data is always in the same position. This makes it great for decoding with a microcontroller and useful for transmission via XBee radio to remote devices. Each transmission is prefixed by characters "PS4" and ends with CRLF. There is a link to an example Arduino program for reading the HEX data at the bottom of the page. I2C data can be read in the normal I2C manner using the following register values for obtaining data. Data can be read in one complete go or read individually. There is a link to an example Arduino program for reading the data at the bottom of the page. 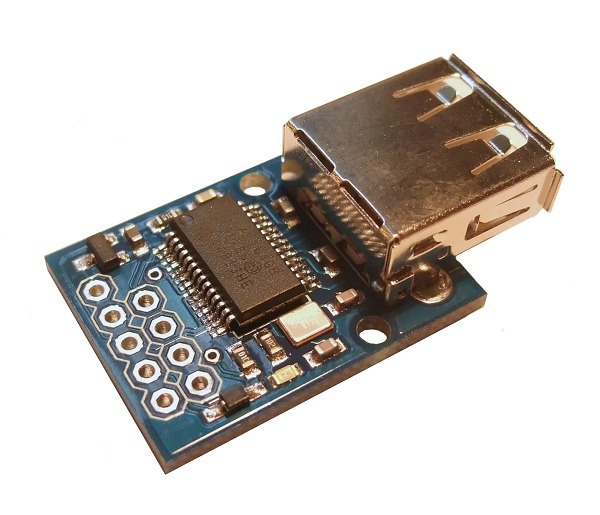 When using the I2C connection we recommend turning the serial output off ("SERIAL OFF") as the overhead in formatting the serial data can cause timing issues with I2C. SERIAL turns on or off the output of serial data when the PS3/PS4 controller is plugged in. Data is output in ASCII text format. Turn it on for testing the connected controller or if your want the serial data. Turn it off when using I2C communication to save on processing. The current settings for SERIAL and I2C address are displayed. 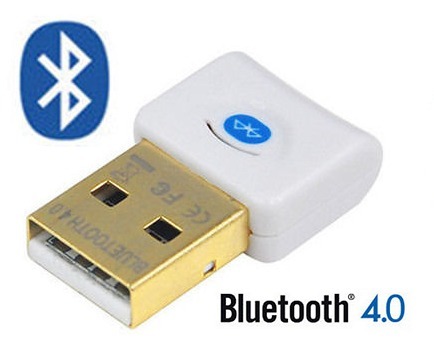 To connect with the PS4 controller you need a Bluetooth dongle that supports high speed data and EDR. Example Arduino sketch to drive a robot in "tank steer" mode.